Well hello spring market! Location, style + affordability can finally share the same statement. 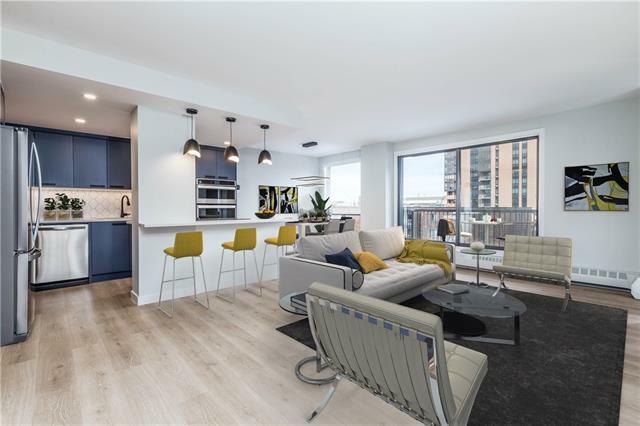 A fully remodelled and complete custom wow factor 2 bedroom + 1.5 bathroom suite in the West Beltline district. 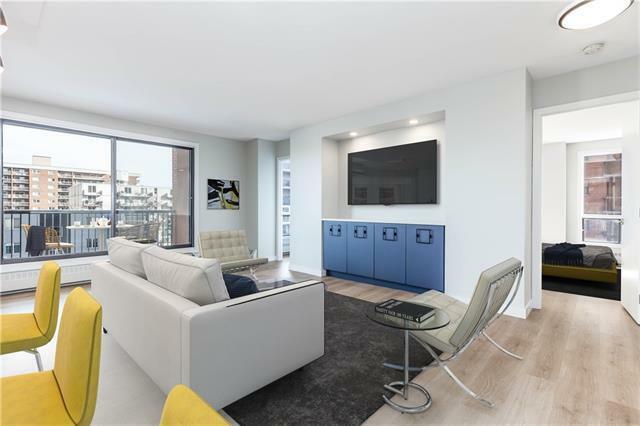 A designer colour palette, modern fixtures and immaculate finishings throughout this almost 900 sqft, move-in ready haven. 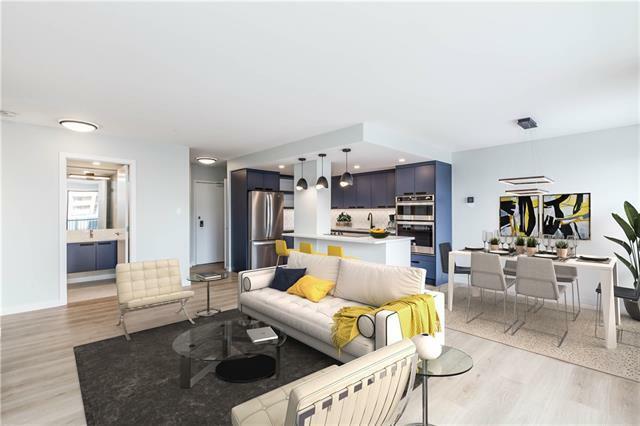 An absolutely blue-tiful kitchen showcasing quartz counters, sleek stainless appliances, flawless hexagon tile + loads of storage options. Two ample sized bedrooms that enjoy their own bathroom option as well - great for overnight guests or roommates. Don't forget about the front load washer + dryer, underground parking stall + storage locker! No expense has been spared - this one is priced to go. 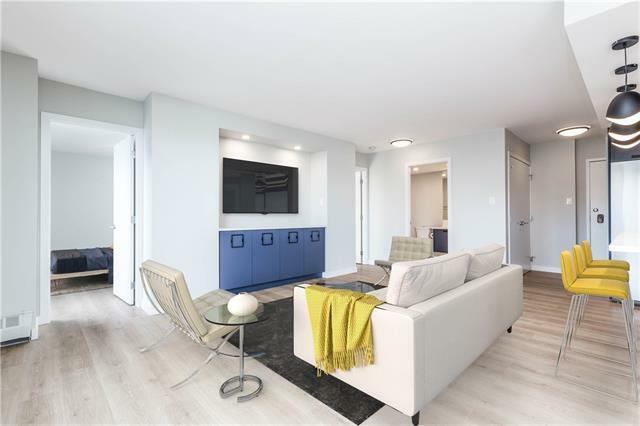 Walk to the c-train, downtown core and all the popular shops, pubs + restaurants that the Beltline is known for.